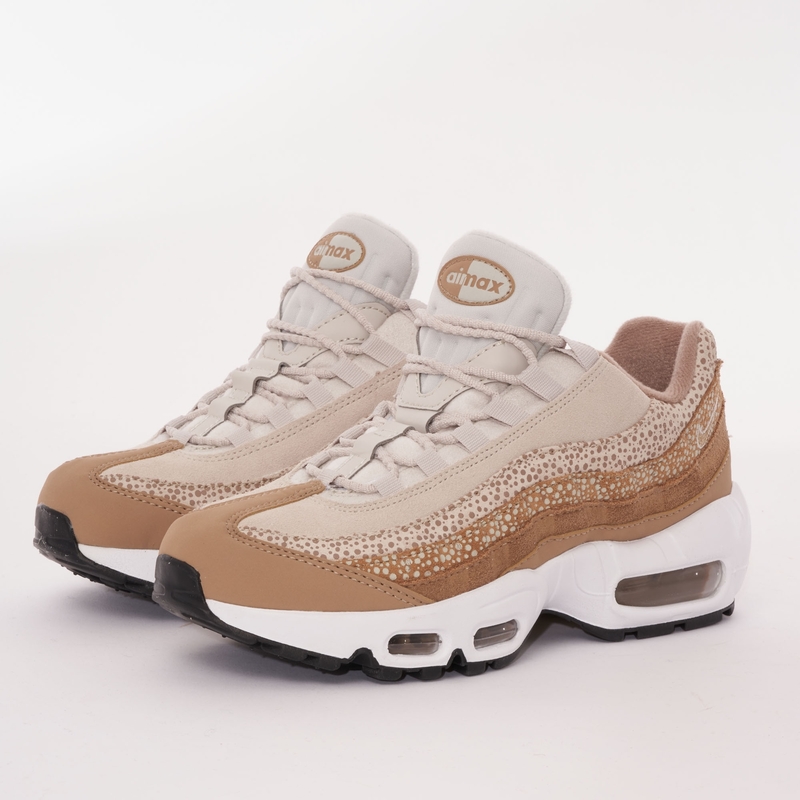 A premium feature from this season;s Nike ladies collection the Air Max 95 is revamped with the iconic Safari Print first seen on the 1987 Air Safari. Boasting a suede upper that is nicely complimented with a tonal leather overlay to the toe and underlay to the heel in the famous "rippled" panel design the upper is completed with a textile tongue, Rope lace up system with tonal textile eyelets and Swoosh embroidery to the lateral sidewall. Sitting upon the Air Max 95 Heel and forefoot visible air cushioning a rubber outsole completes the makeup for a highly wearable silhouette.